Volkswagen will be putting on display four uniquely engineered models at the Auto Mobil International Show to be held in Leipzig, Germany. Motorists will be presented with a whole host of impressive Volkswagen models, among them the Volkswagen CC R-Line, the Scirocco GTS, the Volkswagen Beetle Fender and the Volkswagen Cross Polo. Powered by the 2.0-litre, 200-horsepower four-cylinder and riding on the same 18-inch mallory alloy wheels featured on the Sport Plus, the R-Line adds the option of a six-speed manual on top of the six-speed DSG transmission. The Volkswagen CC R-Line model is sporty and elegant and specific R-Line items include an aggressively-styled front bumper, tinted tail lamps, custom 18-inch alloy wheels, sporty side sills and R-Line badging all round inside. 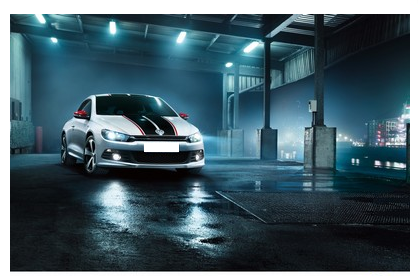 Most apparent with the Scirocco GTS model are the red and black racing stripes that run along the bonnet, roof and rear hatch and the red mirror caps. The 18-inch wheels, red brake calipers, edgy front and rear bumpers, flared side skirts, rear spoiler and diffuser, and GTS badges contribute to the bespoke look. Volkswagen’s relationship with the UK dates back to 1952, when the first two Beetles were sold. In 1953, the brand went from strength to strength when Volkswagen Motors Ltd became the official UK importer. In 1978, Volkswagens headquarters were based in Milton Keynes, where the company sourced and marketed the distribution of all vehicles and parts in the UK. The word “Volkswagen” in German literally means “people’s car” quite appropriately and today Volkswagen UK is one of the country’s largest importers of vehicles. If you’re looking to purchase or lease a new Volkswagen contact our sales team. Alternatively, visit our website where you will find new and used Volkswagen’s available for sale or on finance.